Computer hackers, electronic bugs and supersensitive microphones threaten to pierce the Vatican's thick walls next week when cardinals gather in the Sistine Chapel to name a papal successor. "The security is very strict," Mazzullo said. "For people to steal information, it's very, very difficult if not impossible." Thousands of reporters will be watching as the 115 cardinals gather on April 18. 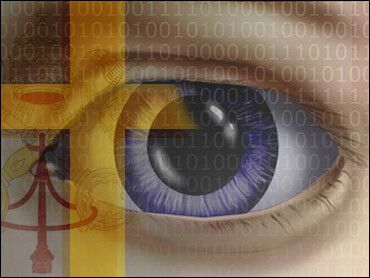 Hackers and government informants may also be monitoring the conclave. Revelations of the proceedings could prove embarrassing to the Vatican. For instance, sensitive discussions on a papal candidate's stand on relations with Muslims or Jews, recognizing China rather than Taiwan, or views on contraception would be sought-after by governments or the press. John Paul was sensitive to meddling from outside. He spent his formative years in Soviet-run Poland under pervasive government spying. The Turkish gunman who shot him in 1981 was suspected of ties to the Soviets, a regime later brought down by forces the pope openly supported. The Vatican released video Monday of the closed world the cardinals will occupy until they choose a new pope, showing images of their hotel, the Sistine Chapel, the urns where they will place their votes and the stove that will send up smoke to signal that they have elected a new pontiff. It also shows images of the round, bronze-rimmed urns where the cardinals will place their votes. Previously, cardinals placed their ballots in a chalice. The video ends with a view of the stove, dusty and full of ashes, where the ballots will be burned. Black smoke wafting from the Sistine Chapel's chimney signals no pope has been elected, and white smoke signals a new pope has been chosen. Responding to John Paul's request, the Vatican will depart from centuries-old tradition by also ringing bells to signal the election in an effort to avoid confusion over the color of the smoke. "You focus the laser on a window or on a hard object in the room, like the glass on a picture," said a New York-based security expert with Kroll, Inc., who asked that his name not be used. "When people are talking, the glass will modulate with the sound of the voice and they can recover the audio." For the first time, cardinals will be allowed to roam the Vatican grounds during the conclave, a Vatican official, Archbishop Piero Marini, said last week. Previously, cardinals were allowed to sleep only in the Sistine Chapel's adjoining Apostolic Palace, but this time they will be housed in a $20 million hotel residence, the Domus Sanctae Marthae. They will be allowed to use Vatican City chapels for Masses. Even when there is a pope, the general public is shut out of large portions of Vatican City. With the exception of the Vatican Museums, post offices, St. Peter's Basilica and limited access to the general grounds for those on tightly controlled tours of the Gardens or to the Vatican's pharmacy, the general public cannot enter the Vatican premises. During the preparations for the conclave and for its duration, the museums will stay open, but the Sistine Chapel, part of the museum tour, is off-limits to the public. In a sign of nervousness about maintaining secrecy, the College of Cardinals decided Saturday to halt interviews with the media. Cardinals had been giving interviews, and the clampdown is believed unprecedented. "They've assured us there are ways to block all communications and conversations," Chicago Cardinal Francis George told reporters earlier in the week. But even with precautions, halting a spy inside the Vatican — perhaps an unwitting one — is probably the toughest threat to block, experts said.